I’m hoping that you are now obsessed with wedding blogs and are enjoying your daily fix of wedding prettiness. I am also hoping that you have confirmed your budget. Which means one thing. Your wedding planning can commence…..
A large portion of your budget will have been allocated to your venue, so securing this should be first on your planning to do list. It’s tempting to rush out and view any venue that appears to tick all the right boxes, and I completely get this. Whilst it is important to view a selection of potential venues to allow you to compare the pros and cons of each. It is equally important that you have a clear idea of what you require from a venue before you dedicate your foreseeable weekends viewing your selected shortlist. Creating a draft guest list is a good place to start when in the early stages of planning your wedding. Of course, this doesn’t have to be exact and no doubt this list will change before your invitations are sent out. But, this will give you a good idea of two factors that will without a doubt effect your final venue choice. The first being minimum and maximum guests numbers and the second being whether or not they welcome children. It goes without saying if you intend on hosting an intimate wedding there is little point viewing a venue whose minimum guest requirements are considerably larger than that of your guest list. Similarly, if you have your heart set on hosting a family friendly celebration viewing a venue who politely request that your nuptials are an adult only affair would not only be a waste of your time, but also heartbreaking should the venue be perfect in every other way. Planning your wedding is a huge investment of your time which is usually slotted in amongst your existing work and family commitments. So, taking a little time at the beginning of your wedding planning journey to establish key elements of your wedding will assist you ten fold as you move on to making each final decision. Choosing the perfect venue for your wedding is key to ensuring that your wedding is everything that you are hoping it will be. 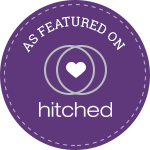 If you feel that you may benefit from the assistance of a wedding planner please take a look at my website where you will find details of my venue search service as well as other planning services that I offer.